There are high performers in the workplace, in competitive sporting arenas and in all areas of life. The truth is not everyone is born a high performer, I wasn’t. 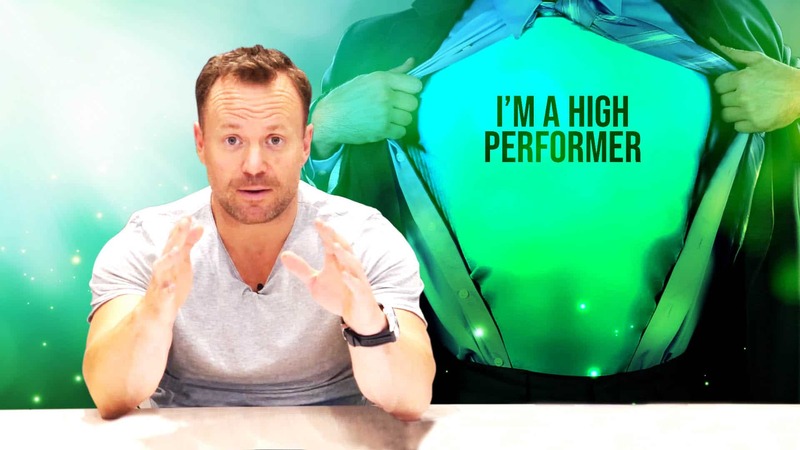 When high performers start to break through, and when I did, everyone around me started to become very uncomfortable and they started to ask me a range of questions. I do care about you, I do think about you, my health is important, and that’s why I’m doing this. I’m not doing this in vain. The other person in this scenario may see a cement slab, where I see a 36 square foot mansion that in ten years they’re going to be living in. But they can’t see that yet, and that’s okay. It doesn’t mean they’re wrong because all they’re trying to do is protect you. When people are suggesting things that are different to what you want, their intent is not to harm you, their intent is to support you. They just think supporting you happens in a different way. It’s an expression of care, it’s a love language. That’s where you say, ‘Please understand I’m saying this with full consciousness, full awareness, I know exactly what I’m doing. I’m not blind with what I’m doing right now. That small communication is actually a really big piece of communication that a high performer knows is beneficial for both sides. Answer the questions as you feel is best, but recognise others are doing one of two things: either supporting you or distracting you.